“I am because you are” is a saying that many of us are familiar with. Yet very few live it the way Golden Stars F.C. does. 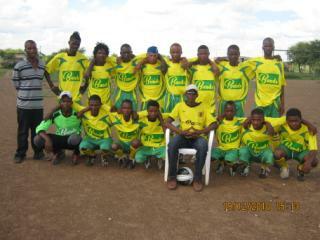 Golden Stars F.C. turned a year old on the 29th November 2010. What finer way to honour these fine young men, than to publicly acknowledge the positive impact they had made in the community, as well as their dedication and loyalty to the team, despite difficult circumstances. An Award Ceremony and 1st Year Anniversary Celebration was hosted on the 27th November 2010. 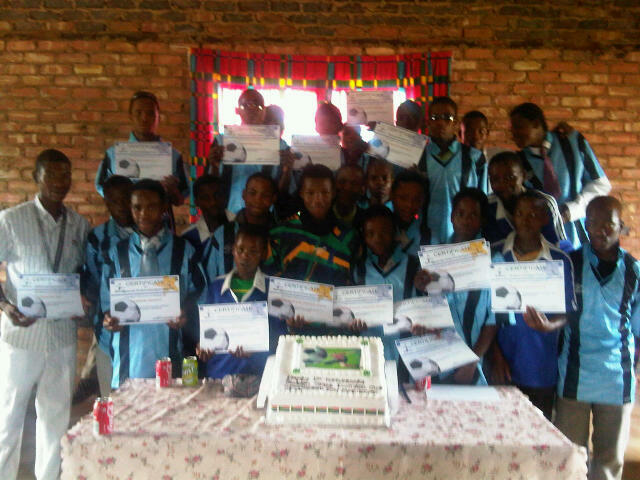 This served to encourage the team and to let them know that their great efforts were not unnoticed. Through the kindness and generosity of On Point Graphics, ABI (Rustenburg), Mafikeng Spar, Carrot King, members of the Rooigrond community and Nadia Petersen, as well as Waseema Petersen and Samantha Smith, who once more gave up their time to celebrate with us and make the day even more special. This event went a long way in ensuring that the team’s great efforts are recognised and the sense of achievement, that came along with it, left the team ready to continue their journey of creating a legacy for the youth of the Rooigrond Informal Settlement area.